After a tiring work week, I like nothing better than to go to my neighbourhood salon, Oxyia, where I can get everything done from my facials, manicure, pedicure, haircut, to that relieving body massage. It is not a very big place but its been there for over 9 years and is very reliable. I especially like the facials like the O3+ whitening facial which costs INR 2000 and if I want to add in bleach its just INR 500 extra. They give a very thorough facial starting with a cleanser, massage, dermabrasion, tonic, serum, cream and rubber mask for whitening which is peeled off and lastly, the serum is put. My favourite masseuse at the salon is Veronica who does a great job with the facial and waxing. They also provide services for men. I have heard that their staff member, Naushad Naiem, is very good for cutting and giving facial for men while Jassi is very good in giving men a massage and pedicure. They use good products for body polishing, Figaro olive oil for massage and Ozone products for both body polishing and massage. In fact, Oxyia is the only one in East Delhi using TIGI professional from the USA, products from Toni and Guy for hair colour and hair spa. 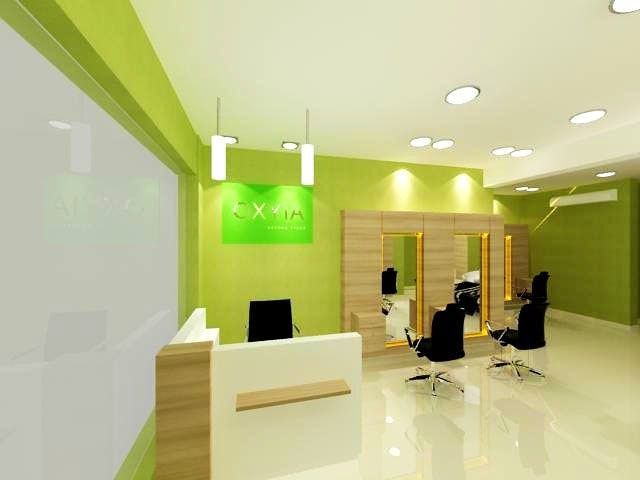 Their global colorado cost starts from INR 3500 onwards and a hair spa cost INR 1600+. I find their hair colour longer lasting than other colours and is great conditioner, in fact, as it's a mild product. It is always better to book an appointment with them, especially if you plan to visit it on the weekend. They are open on all the 7 days from 9 am to 9 pm.